You and your guests can enjoy a fun poker night after dinner with Steve Silver Company Tournament Dining and Poker Table. 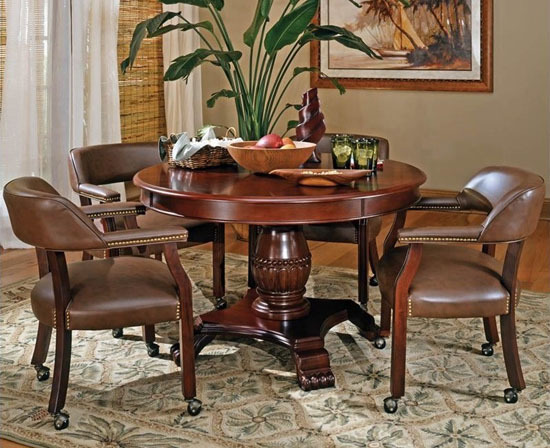 This tournament table features attractive cherry finish, it would be a nice addition to any room, including game room, billiards room, or home bar. 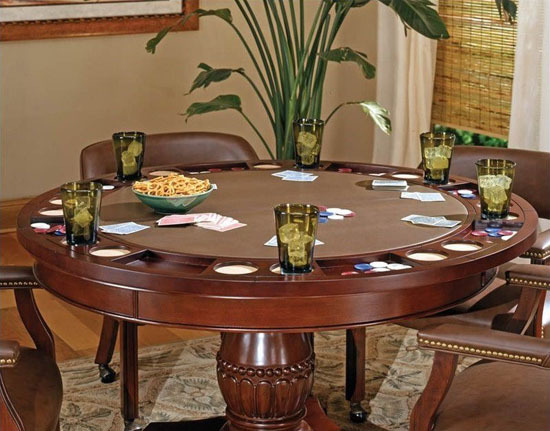 This table comes with a removable table top that also has poker chip and drink holders, there’s an upholstered area for more convenient way to play your card games. 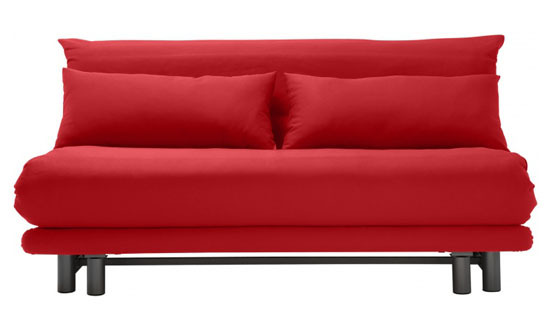 Ligne Roset Multy Sofabed offers a sofabed with 3 adjustable positions, basically you can set it a sofa, a bed, and a chaise lounge (halfway between settee and bed). 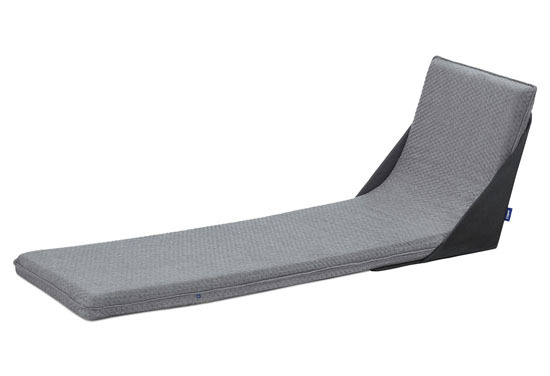 This sofabed is designed to offer user comfortable and cozy bed, in chaise lounge mode, it still offers you ample leg support. The Savoy fabric material is 51% Arcylic, 31% Polyester, and 18% cotton, it’s been treated with HealthGuard. 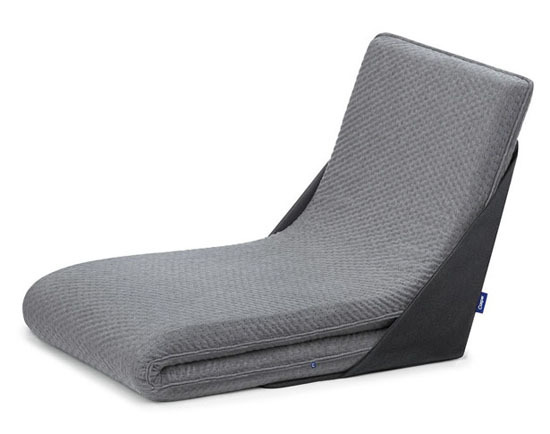 This compact sofabed features a strong steel frame and foam cushioning, it’s perfect for a small living space, just in case you don’t have an extra room, you or your guest can sleep comfortable in this sofabed. 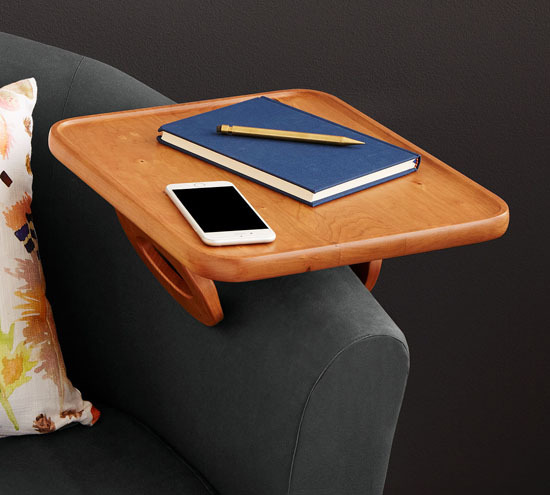 Having a vintage themed home office décor? 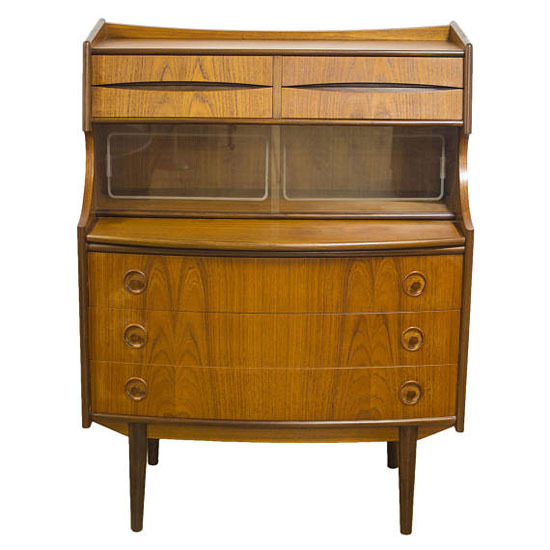 Then this Design Danish Teak Bureau Desk Book Shelf would fit there perfectly. 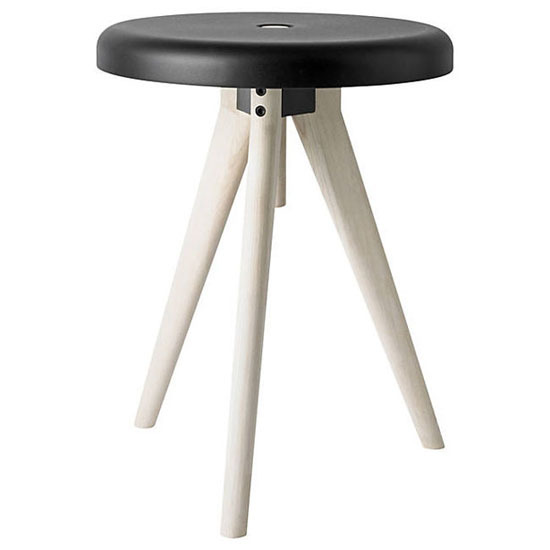 The multiple storage would save you a lot of space, this Danish design offers a nice pull out working space as well those 7 drawers to keep your work essentials. 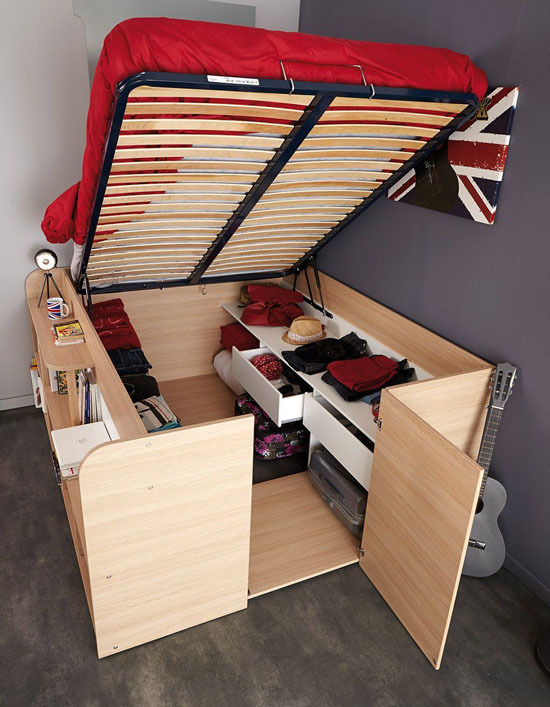 The four upper drawers are a bit small but the three lower drawers offer larger space. 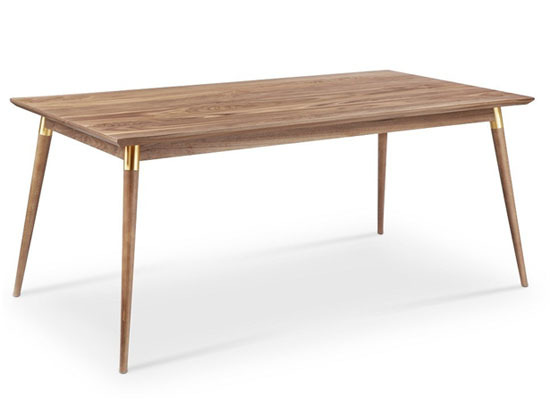 Featuring beautiful curved form, this desk would look stunning in any space, offering classic touch to contemporary décor. Libation Station is a made to order home bar storage solution. 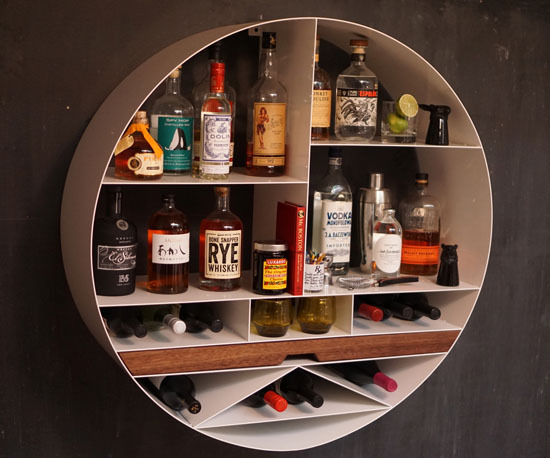 Featuring round form, it is carefully designed with multiple shelves to organize your liquor and wine easily. Beautiful and efficient, these two characters can be found on this wall hanging home bar station. 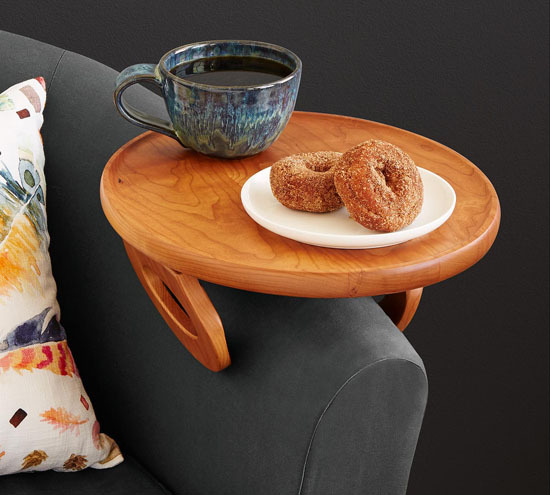 There’s a Black Walnut tray that you can use to prepare drinks, it’s designed as drawer slides. The walnut is finished with a food grade mineral oil with herbs, so yes, it’s smell wonderful, perfect for chopping limes, oranges, olives, or just about anything you’re going to serve. This station is constructed of high-grade aluminum, it is powder coated to maintain light yet sturdy storage system. Libation Station can hold up to 25 bottles of liquor with additional 20 bottles of wine in the bottle storage space. 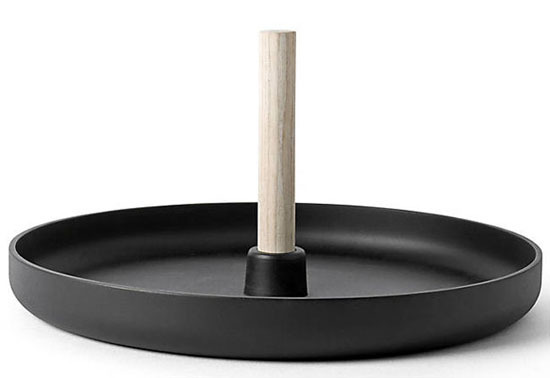 Installation is easy, you can do it in just minutes, the overall weight is 42lbs, it’s 12-inch deep and 36-inch in diameter. Each unit is made to order with average lead time three to five weeks. 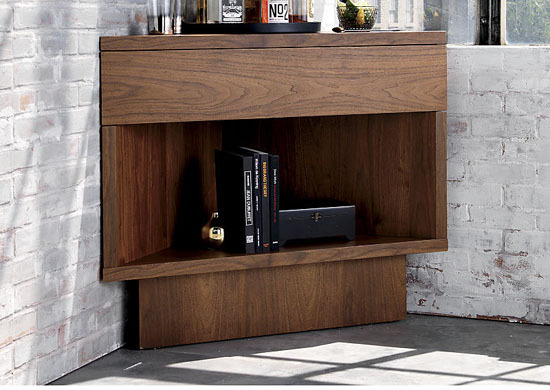 Don’t waste that empty corner, Topanga Corner Bar would fit that space perfectly. 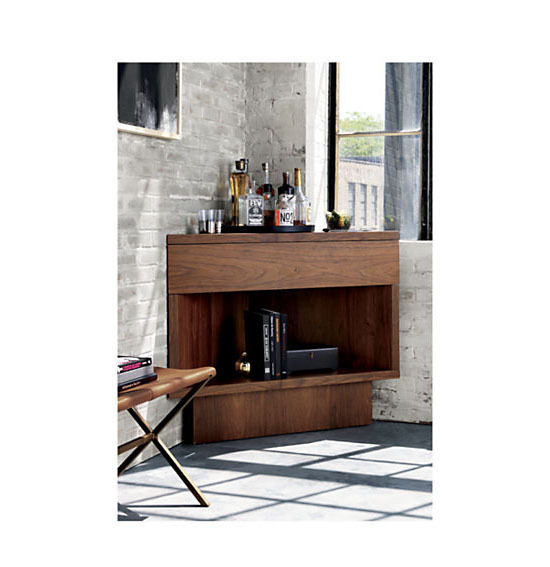 It’s a modern furniture designed exclusively for CB2 by Lenny Kravitz of Kravitz Design. Nice isn’t it? This furniture piece was inspired by Lenny’s eclectic global lifestyle and his furnishings from his homes in the Bahamas, Brazil, and Paris. You can tell that most furniture design from Kravitz Design echoes the ‘70s spirit, capturing the glamour of New York club and culture. 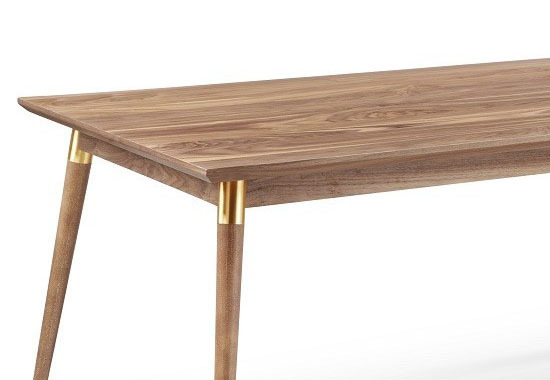 This corner bar boasts natural beauty of wood with minimal geometric form creating an illusion of lightness. Even in small space, when you place Topanga in the corner, it would make a great impact. 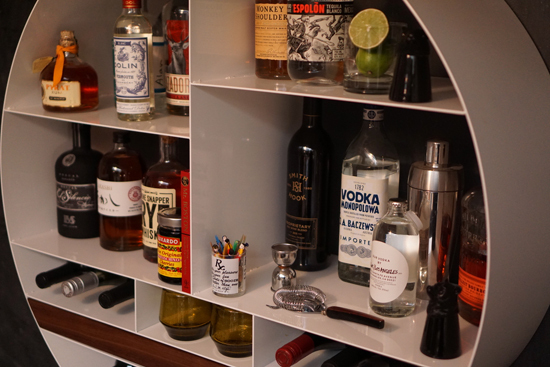 Aside from being a storage with its open shelf, this corner bar also has a shallow drawer on top.